In this post we’re going to show you the best multimeters under $50. A multimeter is a measurement tool absolutely necessary when dealing with electricity. Whether you want to repair your hair drier, detect faulty wires or make DIY electronics projects, a multimeter is a must in your toolbox. 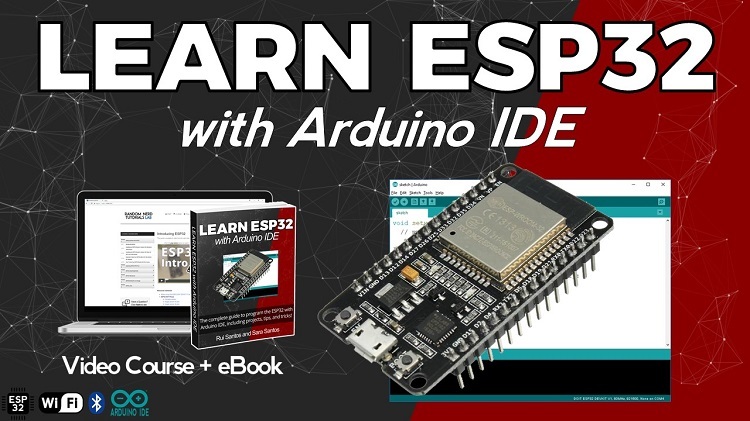 If you’re just starting learning electronics, first you may want to learn how to use a multimeter using our guide. For under $50 you can get a reasonably good multimeter. These are mainly addressed for DIY and for simple home measurements. However, some of them are also suitable for professionals. Finding the best multimeter for your may be a difficult task. 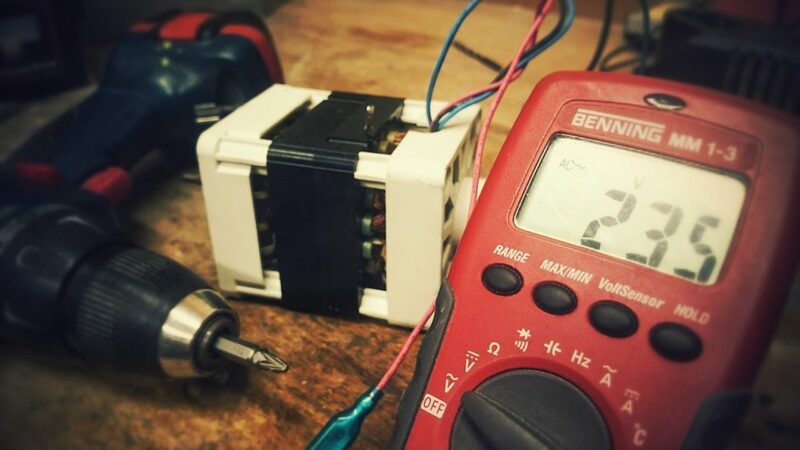 But don’t worry, we’ve put together a list of the top 5 Best Multimeters under $50. Check their different features in the table below and continue reading this post for a detailed description of each tool. Measures duty cycle, capacitance and temperature. Measures capacitance, frequency, and temperature. Auto power off: the multimeter automatically powers off after a few minutes of inactivity (saves your batteries). Here’s a detailed description of each multimeter. These multimeters are really similar, except for some slightly variations. 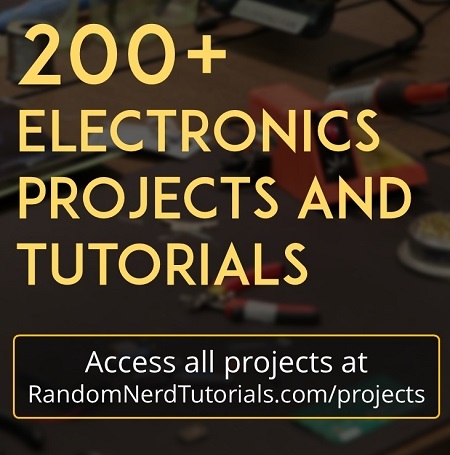 If you’re looking for a multimeter, whichever you choose, these are all great choices. 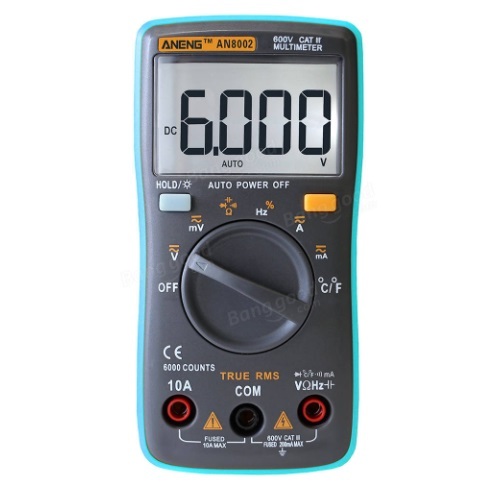 The ANENG AN8002 is a low cost auto range multimeter with great specifications when compared with multimeters within its price range. This multimeters costs less than $20, and besides the standard measurements, it measures frequency, duty cycle, and temperature. Additionally, it features true RMS AC measurement, 6000 counts, and many other cool features. 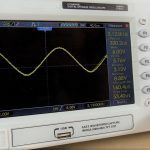 Read our full review about this multimeter: ANENG AN8002 Multimeter Review – Best Low Cost Multimeter? 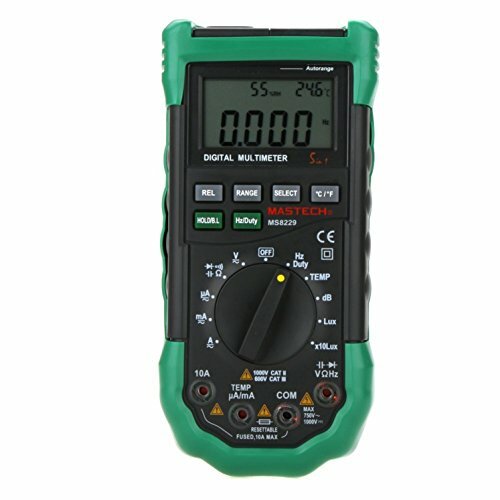 This multimeter is a great deal for the price. It can measure current, voltage, resistance, capacitance, frequency, and includes diode testing and a buzzer to check continuity. 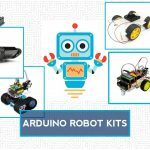 It’s powered with a 9V battery included in the kit. 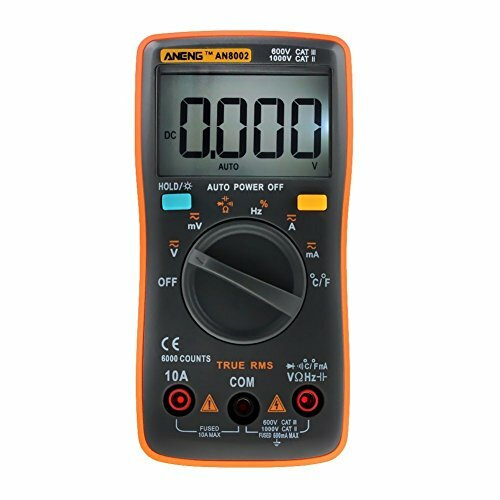 This multimeter has the auto range feature which is great to save you the hassle of having to “guess” in which range the reading will fall under. 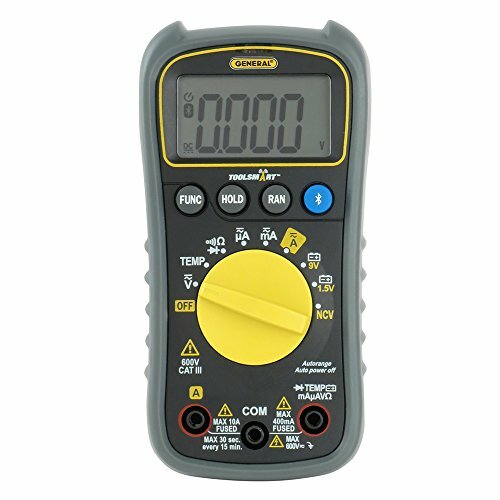 The auto range feature is rarely present in multimeters within this price range. Other cool features in this multimeter include low battery indication, data hold function and auto power off. The LCD is back lit which is great to see readings in dark environments. The multimeter is protected with a non slippery, soft plastic case against accidental hits. The tilt stand located at the back of the case allows you to place the multimeter with a 45 degree angle. The awesome thing about this multimeter is that it comes with extra leads with alligator clips, letting your hands free to do other stuff. The multimeter is pretty small, so it fits perfectly in any pocket or toolbox. This auto ranging multimeter can read up to 1000V in AC/DC voltage, 10A current and 40M Ohm resistance. It also measures capacitance, tests diodes and checks continuity.It comes in a sturdy holster with space at the back to place the probes and is powered with 3 AAA batteries. As we said before, having a back lit LCD is really handy when taking readings in dark environments. It also has other nice features like auto power off and data hold. This multimeter gives you sound and light warnings when the probes are placed incorrectly on the ports for the measurements you want to take. This Craftsman multimeter comes with 8 functions and 20 different ranges. This multimeter is perfect for DIY electronics projects and simple jobs like fixing home electronic appliances. If you are a professional electrician maybe you’ll need a high-end model, but if you just need to take some measurements occasionally, this is perfectly enough. It measures current, voltage, resistance and checks for continuity. 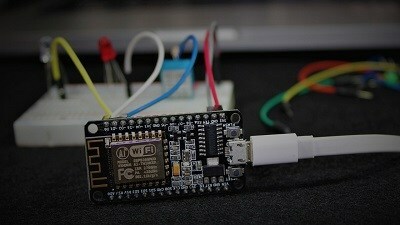 It has a special feature to test 1.5V and 9V batteries. Although this doesn’t have auto range, it comes with 18 different ranges to ensure maximum accuracy. The multimeter comes in a rugged case to protect it against accidental hits and has a tilt at the back to place it in a vertical position. This multimeter shuts down after 15 minutes of inactivity, which is great to save battery. 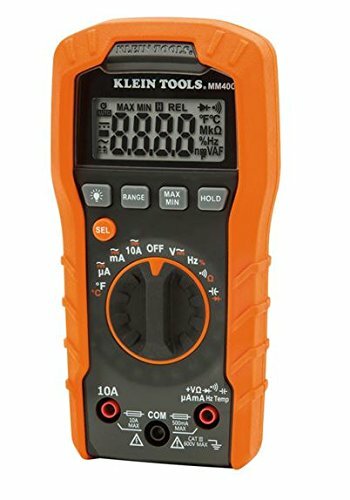 This multimeter from Klein Tools is suitable both for hobbyists and professionals. It measures up to 600V AC and DC voltage, 10A current and 40M Ohm resistance. 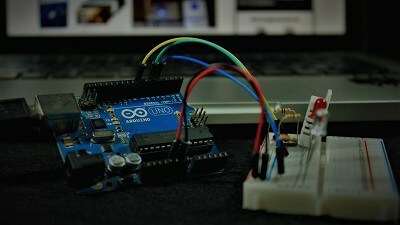 Additionally, it also measures temperature, capacitance, frequency, duty cycle, and tests diodes and checks continuity. So, it comes with a lot of features beyond the basic ones. This model was made to be sturdy, being capable to withstand a 1 meter (3.3 feet) drop. It has a great design and space at the back to store the leads. The auto range feature is a great advantage, especially for inexperienced users. 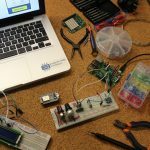 Other cool features in this tool include: low battery indicator with audible signal, auto shut off, and data hold. This auto ranging multimeter comes equipped with Bluetooth. 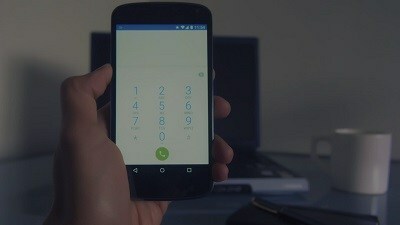 You can use the manufacturer’s app in your smartphone for a second screen to another person. You can also save your readings in the app if you need to analyse them later. 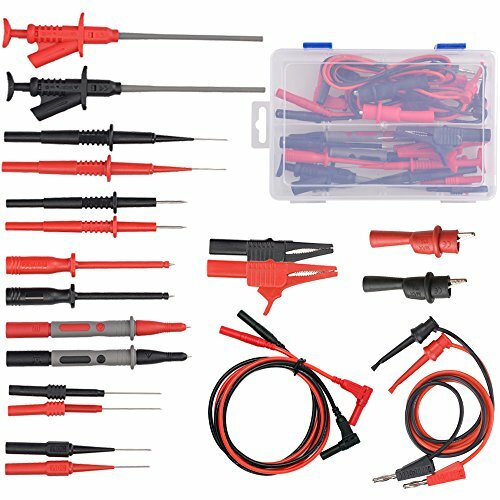 The multimeter comes with a pair of test leads, a bead thermocouple probe, a plug adapter, a 9V battery, and a user manual. This multimeter is at a very reasonable price, as multimeters within the $50 price range usually don’t come with Bluetooth features. Sinometer STL084 Industrial Heavy-Duty 1000V/10A Test Lead Set, 37"
In this post we’ve shown you the Best Multimeters under $50. All multimeters described are good choices if you’re thinking about getting one. 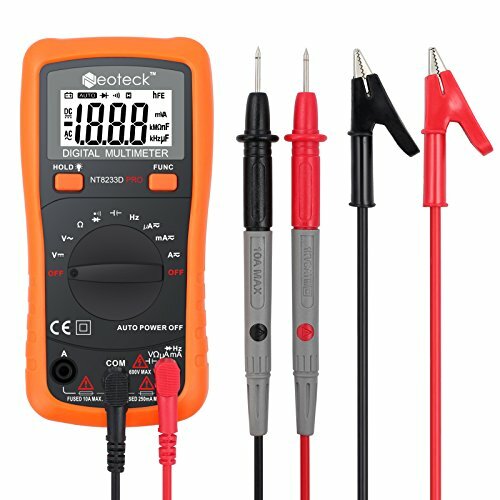 Neoteck Pocket Auto Ranging Digital Multimeter 8233D PRO - This is our recommendation if you're not a professional electrician and you need the multimeter for simple tasks. 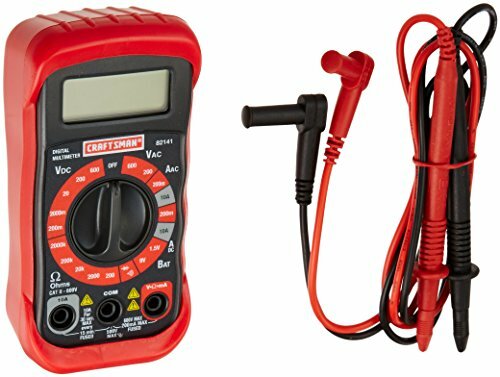 It is a pocket multimeter, so it is small, lightweight and easy to carry; it comes with extra leads with alligator clips; it measures all you'll need in small jobs/projects; and finally, it is the cheapest - we think this is one of the best multimeters for the price. If you want something high-end and with more features, the Klein Tools MM400 Auto Ranging Digital Multimeter may fulfill your needs better. 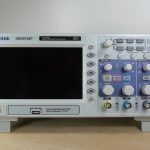 Is this the Best Low Cost Multimeter? 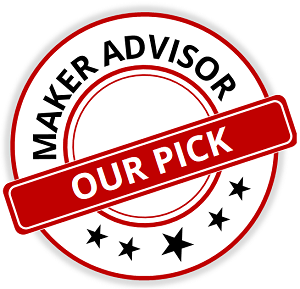 Looking for more reviews on electronics tools? Make sure you subscribe here to catch upcoming reviews and score some deals on your favorite gear! Toolsmart Bluetooth DVM is available via amazon for $35. Thanks for sharing, it does look like a great alternative. I personally don’t find the bluetooth feature very useful for my use cases, but I can definitely see different scenarios where it’s a must have. Yes. That’s right! A tilt stand is also a must when considering getting a multimeter. Nowadays, most multimeters come with a tilt stand. All multimeters we recommended have a tilt stand so you can read the results with no hassle. 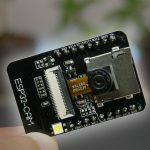 The MS8229 adds light, temp, sound, and humidity while costing less than $50.